NTSE Chhattisgarh Answer Key 2019 - The officially revised answer key of NTSE 2019 Chhattisgarh is available. State Council of Educational Research and Training (SCERT), Chhattisgarh has released the official NTSE Chhattisgarh Answer Key. Students can download NTSE Chhattisgarh 2019 answer key from the links given below and check their answers by themselves to calculate a probable score and know whether qualified for stage 2 of NTSE exam. The link for the same is given below in the article. Answer key for Chhattisgarh NTSE 2019 will contain correct answers for Mental ability test, and Scholastic Ability Test (SAT). NTSE Chhattisgarh 2019 has been conducted on November 4, 2018. Whereas stage 2 exam of NTSE 2019 will be held on May 12, 2019. Students can also check the previous year cutoff of NTSE Chhattisgarh to have an idea because it is the minimum qualifying score required to qualify. For more details on NTSE Chhattisgarh answer key 2019, read further. 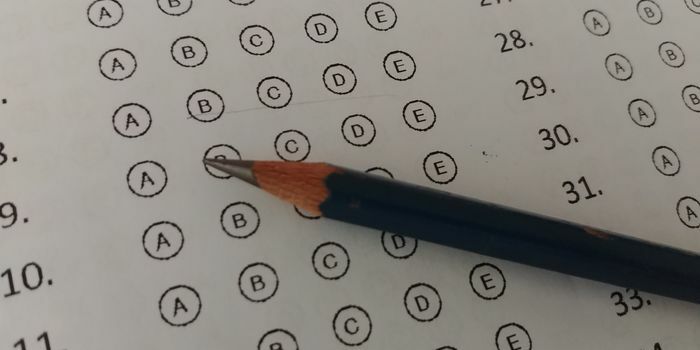 Examination for Chhattisgarh NTSE 2019 will be comprised of two tests, Mental Ability Test (MAT), and Scholastic Ability Test (SAT). MAT, and SAT both will contain 100 questions worth 1 mark each. The total number of questions will be 200. There will be no negative marking in NTSE Chhattisgarh 2019. For more, such as time duration and qualifying scores, see the table provided below. Exam paper will contain a total of 200 questions, and each question will be worth 1 mark. There will be no negative marking in NTSE Chhattisgarh 2019. Marks calculation should be done separately for MAT and SAT. After calculating marks in MAT, SAT, check whether the candidate has reached the minimum qualifying scores for each test by referring to the minimum qualifying scores provided in the table above. Failing to reach the minimum qualifying scores in either of the texts will automatically lead to failing the exam. After verifying qualification in MAT, and SAT, calculate the overall scores and refer to NTSE Chhattisgarh cut off 2019 to check your qualification for stage 2 NTSE 2019. SCERT, Chhattisgarh is expected to release the cut off for Chhattisgarh NTSE 2019 along with the results by the second week of January 2019. Stage 1 NTSE Chhattisgarh Cut off 2019 will be the minimum qualifying scores required to qualify for stage 2 NTSE 2019. Cutoffs NTSE Chhattisgarh will be posted here as soon as they are made available by SCERT, Chhattisgarh. Find cut-offs for the previous year in the table below. SCERT, Chhattisgarh will announce the results of NTSE Chhattisgarh 2019 by the last week of January 2019. Results will contain MAT, SAT, and overall scores of the candidates. Along with the scores, cut off and a list of selected candidates for stage 2 NTSE will be also be released by SCERT, Chhattisgarh. Results for NTSE Chhattisgarh 2019 will be posted here as soon as they are available.